ICL-A Induction Collar Locator | CBG Corp. The ICL-A uses a low-frequency induction method with a transmitter and two receiver coils arranged to provide an absolute phase measurement that senses the average thickness of metal around the tool, along with a two inch differential measurement to sense smaller details such as collars, casing centralizers and perforations or cracks in the casing. The two different modes are only available simultaneously in the digital output version of the tool, when they are assigned to two channels of the telemetry frame. In the analog version of the ICL-A, either collar locator or casing inspection must be pre-selected prior to operation. Unlike conventional CCL magnetic collar locators, the ICL-A is independent of logging speed and even works while stationary. Since it does not contain magnets there is no problem with sensitivity degradation caused from time or temperature and requires no special handling or safety concerns. It works in either centralized or eccentered configurations. The ICL-A will operate in all casing/tubing sizes although the response is best in casing sizes from 4 ½” to 9 5/8” and weights up to 35 lb/ft. 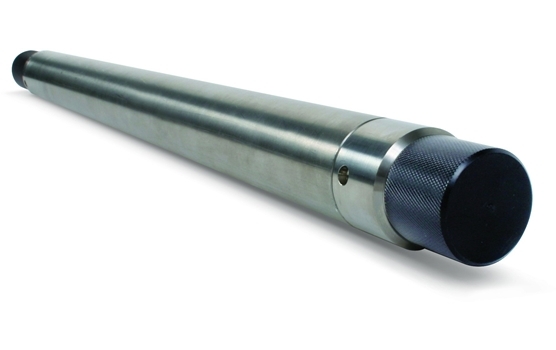 The small tool diameter allows it to pass through tubing as small as 2 3/8”. Tubing joints are measured as well as casing collars through the tubing. The ICL-A is available with either the CBG high speed digital telemetry or an analog, modulated current output. In this configuration, the ICL-A can be run alone or more commonly with the analog output NGT-B gamma tool. The CPT-B combo tool is required if the digital telemetry option is used.